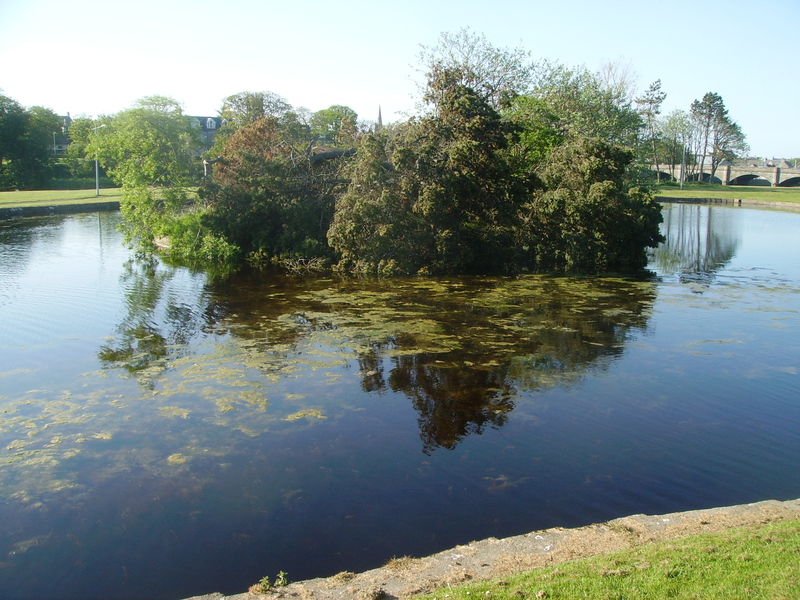 During the event of explosive cyclogenesis last November, a tree on one of the the crannogs in Thurso boating pond came down. And still it hasn’t been removed. As the above snap shows, it now is attracting a stream of algal growth in a spot which attracts the model boat club, paddle-boat users and the canoe club to name but three. Putting aside that, although it is providing shelter for the ducks at the moment, come winter, it will look distinctly skeletal and unattractive. If Caithness Countryside Volunteers wish to venture into the heaving metropolis of Thurso, this would be a decent enough task for them to tackle. Further-up the pond, the metal covers on one of the storm drain still has not been replaced. Not only does this let in a sluice of emulsified bilge water and junk, it provides a terrifying maw for a small passerby to fall into. 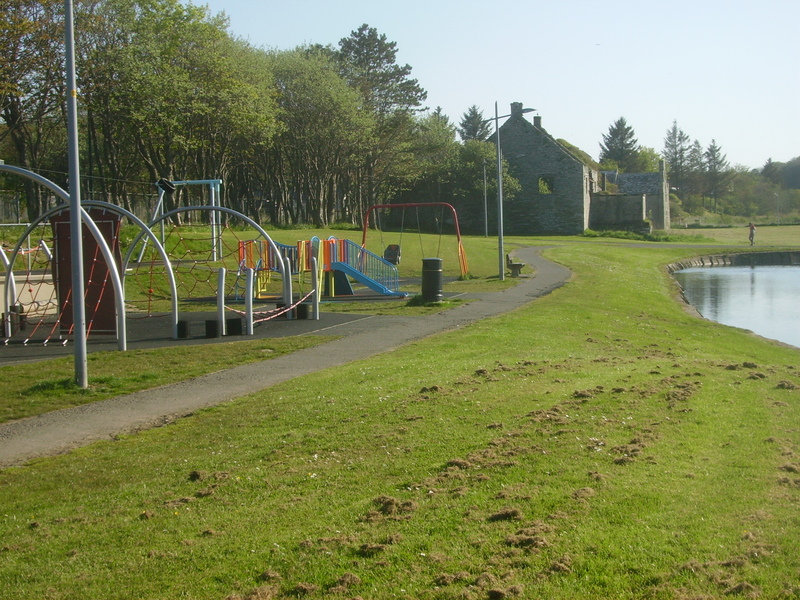 Not long ago opened with much fanfare is a play park, offering a tempting downwards slope of a few yards to this and the unfenced pond edge. Immediately across the road is the swimming pool with grounds which could have cited a play park, with any water well removed from small children. 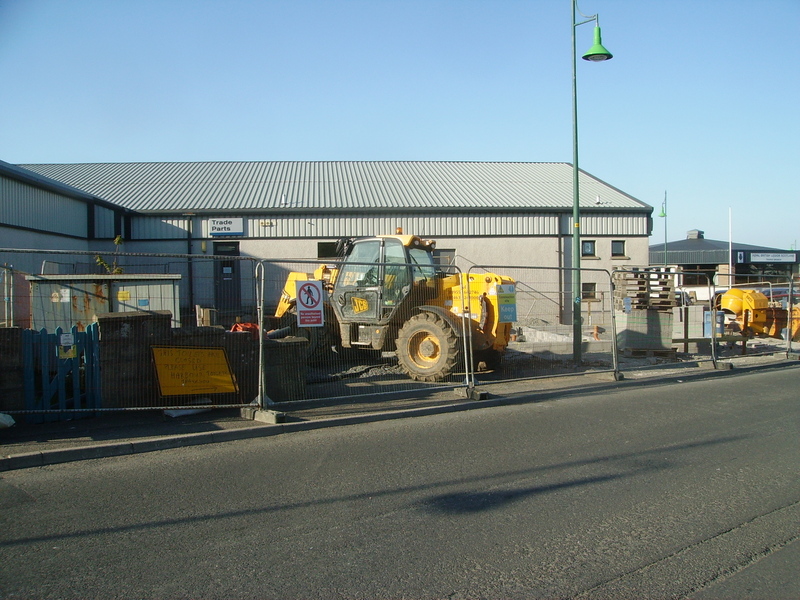 After tendering, the dank and subsiding public toilets by Dunnet’s showroom have been pulled down and are being rebuilt. Confusion occurred, though, with an initial sign directing desperate members of the public to the facilities on Campbell Street; which remain closed. It took me aback for a mo’ to realize that The Trials of Life was first broadcast almost 22 years ago, when it introduced a great many viewers to the sight of animals killing animals for food with more-than-a-hint of gratuitous violence; including killer whales in Patagonia hunting and toying with sea-lions. Not yet online as far as I can see (although, it will be once I upload), I am told that the Portland Arms in Lybster is to re-open after being its previous owners closed two months ago. This former coaching inn represents one of the first sights drivers across the Ord of Caithness from down south see, and that of shuttered-up windows has been a poor advertizement for Caithness as more and more people sped through to get the ferry to Orkney. It has gone through a number of owners over the past few years, although with luck the current owners will make a go of it. Stretched on the rack of the too easy Dounreay chair, investment in other sectors of the Caithness economy has been utter shite for decades. One only has to look at the tourist campaigns by Orkney in which Caithness is simply a means to catch the ferry with archaelogical programmes (not just Time Team) broadcast from there or regular arts festivals take place to see that. 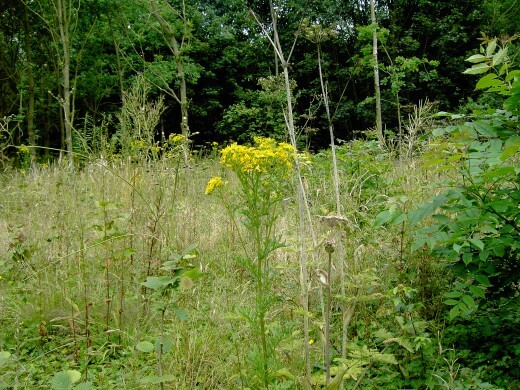 One means for raising the county’s profile nationwide would be discovers such as Killimster metal-detector enthusiast, Mikie Aitken stumbled-upon in January. 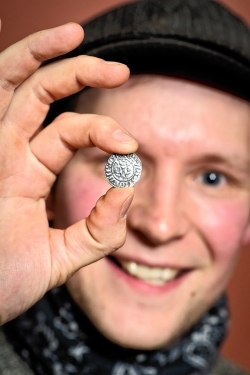 For obvious reasons, he still is keeping quiet about precisely where he found a stash of dozens of coins from the mid to late 13th Century – coinciding with the absorption of the county into the Kingdom of Scotland. Now, however, as reported by the Caithness Courier, Treasure Trove Scotland and Aitken are pursuing arrangements with accredited Far North museums such as the Dunbeath Heritage Centre and Caithness Horizons. It is a shame that SNP councillor for Wick, Gail Ross was caught-up in Rob Gibson’s swinging-of-the-lead regarding expenses, as she remains a highly popular councillor in the town who was returned with a stonking majority at the recent elections. Now the Caithness Courier reports that her fellow councillors in Caithness have elected her to the titular, non-remumerated role of civic leader for the county. There is little doubt that Rob Gibson is keeping the Holyrood constituency seat warm for someone with her or new Landward councillor, Alex Macleod being likely candidates; so this only will improve her chances in it or the Westminster seat at the next election. The Stornoway Gazette reports on moves by trading standards officers and Northern Constabulary against unlicensed car sellers on roadsides around Stornoway. With similar operations on the school brae in Thurso, along the fence of the old Mart site, hopefully similar will come here. You are currently browsing the A Rabbit's Eye View of the Hyperborean North blog archives for May, 2012.